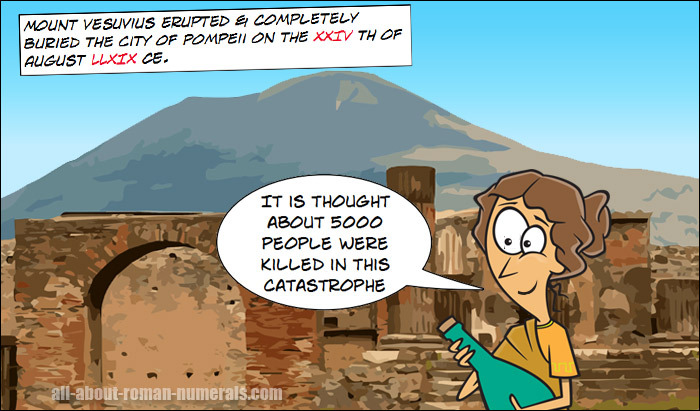 On the XXIV of August LXXIX CE, Mount Vesuvius erupted & completely buried the Roman city of Pompeii in volcanic ash. NB There was no lava in this eruption despite many modern movies show that there was. It is thought around 5 000 people were killed in the catastrophe.